This art deco style restaurant and bar was built in the mid-80's. It is a stand alone building waiting for your new concept to finish the inside. It can be used exclusively as a restaurant or one could also use it as a club after hours. It is perfect for a national chain restaurant requiring a bar. A type 47 liquor license is included. There are approximately 7,750 Sq. Ft. with a private dining area for those 30 person parties and a large atrium area for that warm tropical/outdoor feel. 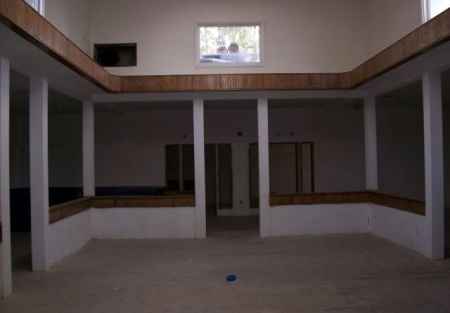 There is also a large shark tank (new) included if the tenant wants it. Otherwise the Landlord will remove it. Demographics - 166,000 people 5 mile radius. 32% Hispanic and 68% non-hispanic. Median Household income $47,000. 33% with household income in excess of $75,000. Take the next step and complete the online confidentiality agreement at SellingRestaurants and you�ll be provided with the restaurant name and address. Also you will given priority notification to new listings in the future, prior to the general public, giving you the best chance to �scoop in� the best opportunities. There are also more photos available to our registered buyers.This is a Paramount Restaurant Brokers, Inc. DBA SellingRestaurants.com listing.